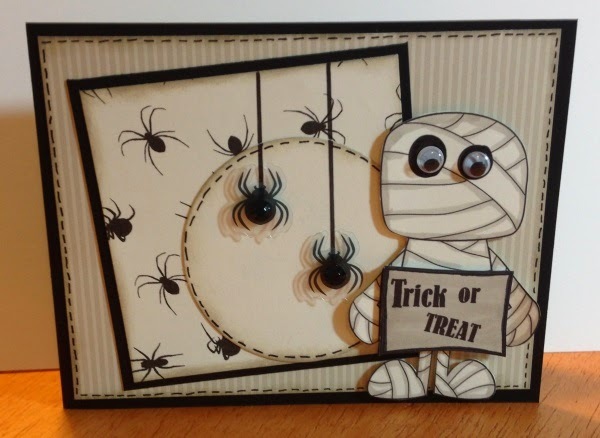 So this year for our fall card classes I will not be offering a Halloween card. Only a couple of people wanted one so I created this fun guy for them. Lizzie made me the spider paper and the Mummy is a digital stamp.